At Home With Us was one of the first stamp sets that caught my eye in the new 2017-2018 Annual Catalog. It looked like so much fun with 25 stamps to create with. The main element is the front door of a home. You can decorate it with a Springtime or Holly Wreath, lanterns, flower baskets, fall décor and my favorite...Christmas time decorations including a garland and small Christmas tree...even a gift to leave on the doorstep. You can even make the door open using the special framelit in the die package. This bundle is a must have...no more fussy cutting...just roll it through the Big Shot and Viola! If you would like to add this bundle to your crafting supplies, just CLICK HERE to order at my online store 24/7. The item number for the bundle is #145351. How does this happen??? Christmas is only a couple of days away. Are you ready? If you need a quick Christmas card, try this one. It's simple and fun but best of all, it only takes minutes to make. The base of the above card is Whisper White measuring 8 1/2" x 5 1/2". Use Pool Party ink and the snowflake stamp from the Tin of Tags stamp set (item #142180) to create the background. Add a layer of Real Red card stock measuring 3 x 3. Make a mask measuring 2 3/4" x 2 3/4" and punch a circle in the center using the 2" circle punch. Place the mask over the Whisper White card stock and lightly sponge inside the circle using Pool Party ink. Using the Tin of Tags stamp set and Black Memento ink, stamp the sentiment in the center of the circle. Add the sentiment at an angle onto the Real Red layer. Punch a Santa Hat using the Jolly Hat Builder Punch (item #141847) and add to corner of the sentiment using a dimensional. Do you need a quick gift? How about a unique gift box filled with candy. With the help of the Envelope Punch Board and the Scoring Tool, this little gift box is not as difficult as it might look. I love the star pattern in the top. If you need any crafting supplies, please be sure to check out my ONLINE STORE open 24/7 for your convenience! As always, I am "at your Serviss" so please feel free to contact me if you have any questions I can help with. Looking to add some bright and bold lights to your holiday projects? Sometimes you just have to look at your Big Shot dies in a different way. There's the perfect mini lightbulb in the Pyramid Pals Thinlits and a nice big one in the Delicate Ornament Thinlits. Do you need any crafting items? Would you like to order some new thinlits? Just CLICK HERE to go to my online store day or night. Need any help or have a question? As always, I am "at your Serviss so feel free to contact me. You may be asking what is it I can't live without...it's the Mini Treat Bag framelit die. It is perfect in so many ways. It can hold a treat for a child, a gift card for a friend, a love note for that significant other, a note of encouragement for just about anyone...it's just so versatile. Would you like to see just how easy it is to make one? Check out my video. The Mini Treat Bags can literally be made in just minutes. Don't you just love it? How do you see yourself using this treat bag? Leave me a comment with your ideas! Below you will find a list of all the supplies I used to make this project. If you would like to place an order at my ONLINE STORE, just click any item. Don't forget...I'm "at your Serviss" so feel free to contact me if you need any help. In my world, it is never too early to start getting ready for Christmas. I like to have all those things on my "To Do" list checked off so I can just enjoy the Christmas season and all it means to me. The Gift Bow Bigz Die will not only help you get ready for Christmas but it will add to the enjoyment because it is just so fun to use. Don't stop at thinking of all the beautiful packages you can add the bows to but think Christmas cards, wreaths and treat bags too! If you want to add this fun item to your craft supplies, you can ORDER HERE. The new Stampin' Up! 2013-2014 annual catalog will make its debut online tomorrow at 12 noon Mountain Time (2 pm Eastern) and I know everyone is so excited. As soon as Stampin' Up! releases the link, I will be posting it on my blog and sending it to everyone on my mailing list. Be sure to check back tomorrow for some big announcements coming your way! This cute little box was so simple and fun to make I thought I would share a tutorial so you could make one too. I made it using the Petite Pocket die with a few alterations. Start by die cutting one piece of card stock with the Petite Pocket die. With my Big Shot, I needed to use one shim so the "sandwich" was an extended cutting pad, a shim, the die cut, one piece of card stock and the extended premium crease pad. 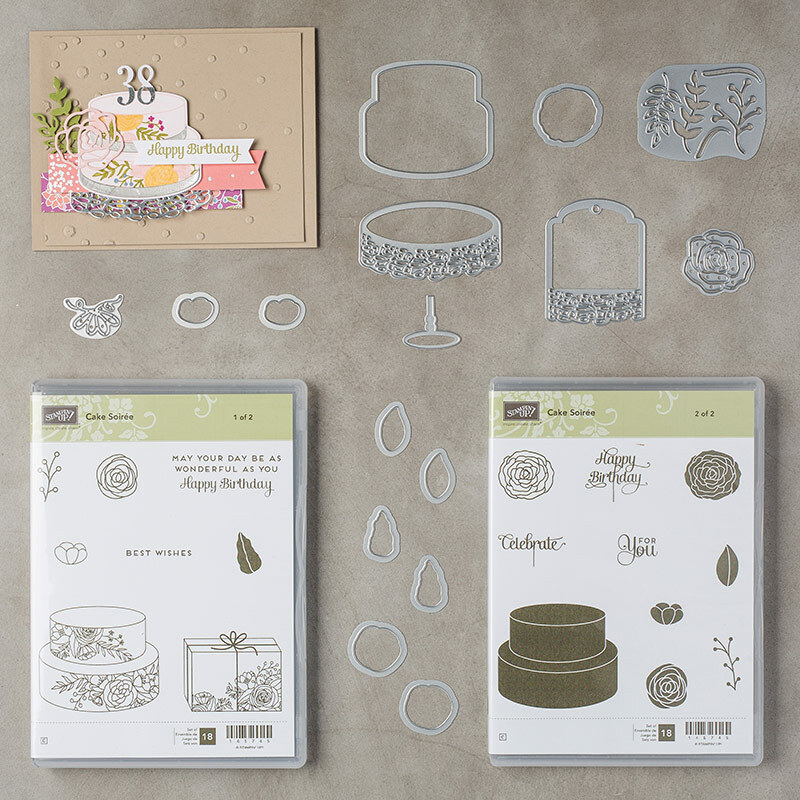 Place the die cut on the Simply Scored Scoring tool so that the more defined score marks are facing UP and the narrow edge with the small half circle cut out is to the TOP of the Simply Scored Scoring tool (or you can use a paper cutter with a scoring blade). Score from the top to the bottom at the 7/8" and 2 1/4" marks. Place the long edge of the die cut to the top so that the half circle cut out is now at the left edge of the scoring tool and score at 2 1/4" and 6 1/2". Don't crease the folds just yet! I apologize that this photo isn't as clear as I hoped it would be but hopefully you can see the pencil lines. There are two sections at the far left that are marked with an "x". You are going to cut that portion away. Then there are 3 additional pencil marks along the top and three along the bottom. You are going to clip there with scissors but you are NOT cutting the portion away. Refer to the next image for clarification. In this view, you are looking at the outside of the box. Use a bone folder to emphasize the score marks you made with the Scoring Tool. Place Sticky Strip on the sections highlighted in the image to the left. In this view, you are looking at what will become the inside of the box. (The Sticky Strip is on the other side of the card stock.) Alter the die cut so that it looks like the image to the left. Peel the two smallest sections of Sticky Strip away. Begin to form the box by bending up the section to the far right to a 90 degree angle. Peel the two largest sections of Sticky Strip away and continue to fold the section to the right up to form the box. Cut a strip of Designer Series Paper measuring 1/4" x 5 1/4" and wrap it around the box so that the front flap can be tucked inside the Designer Series Paper to hold closed. (The small flaps will tuck inside the box.) Cut a 16" piece of ribbon and wrap around the box on top of the Designer Series Paper. Embellish the box as desired. MANY OF THESE ITEMS INCLUDING THE PETITE POCKET DIE ARE RETIRING ON MAY 31, 2013 AND WILL NO LONGER BE AVAILABLE...IF YOU WOULD LIKE TO ORDER ANY OF THESE ITEMS, DON'T WAIT! If you place a minimum $35 order, I will provide you with an additional tutorial that you can use to make the box shown above also made with the Petite Pocket Die. This box is much larger measuring 4 1/2" tall, 2 1/4" wide and 9" in circumference. You can place your order at my ONLINE STORE or contact me if you want any assistance in placing your order. I hope you enjoy the free tutorial and I look forward to sharing the second tutorial with you as well.